If you have any questions or would like more information on any of our events, please email our Events Manager, Joanne Bartholemew. SUPPORT OUR RUNNERS AT THE VIRGIN LONDON MARATHON! Not running this year? Why not show your support for Born Free's 'Team Wild' at the 2019 Virgin London Marathon and cheer them on along the route! Alternatively, come and say hello to the team who will set up camp in St James' Park to welcome 'Team Wild' acrcoss the finish line and provide vital bananas! THE MLD SUMMER SHOW TAKES FLIGHT! 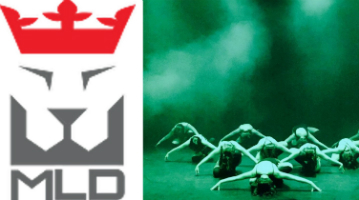 Join Born Free’s Star Fundraiser Mark Lee Davies and his talented dance, performance and yoga students for a spectacular flight-themed show, with 100% of proceeds being donated to Born Free. Come and see team MLD’s inflight entertainment – a bonanza of dance, yoga, theatre and fashion, topped off with music and thought-provoking context. Light refreshments and mocktails will be served by Mint Cakery UK during the flight along with a charity raffle, drawn by a special Born Free guest. Tickets cost £10-11 and are available from the MLD box office.